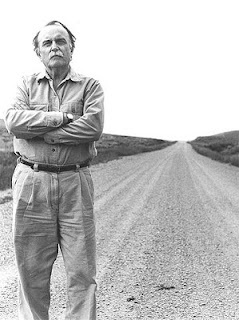 Alvin Lucier (born May 14, 1931) is an American composer of experimental music and sound installations who explores acoustic phenomena and auditory perception. Lucier has pioneered in many areas of music composition and performance, including the notation of performers' physical gestures, the use of brain waves in live performance, the generation of visual imagery by sound in vibrating media, and the evocation of room acoustics for musical purposes. His recent works include a series of sound installations and works for solo instruments, chamber ensembles, and orchestra in which, by means of close tunings with pure tones, sound waves are caused to spin through space. He has performed many of his works with John Cage. The most important and best-known Lucier's works is "I Am Sitting in a Room" (1969), in which Lucier records himself narrating a text, and then plays the recording back into the room, re-recording it. The new recording is then played back and re-recorded, and this process is repeated. Since all rooms have a characteristic resonance the effect is that certain frequencies are gradually emphasized as they resonate in the room, until eventually the words become unintelligible, replaced by the pure resonant harmonies and tones of the room itself. The recited text describes this process in action. It begins, "I am sitting in a room", and different from the one you are in now. I am recording the sound of my speaking voice...", and concludes with, "I regard this activity not so much as a demonstration of a physical fact, but more as a way to smooth out any irregularities my speech might have," referring to his own stuttering. The piece has been performing in a different part of the world each year. 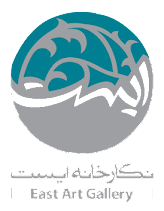 It was also performed in Iran for the first time at the East Art Gallery on summer 2012. The named pieces will be all performed with “I am sitting in a room" which will be performed by Alvin Lucier at the East Art gallery in this Auditory event.